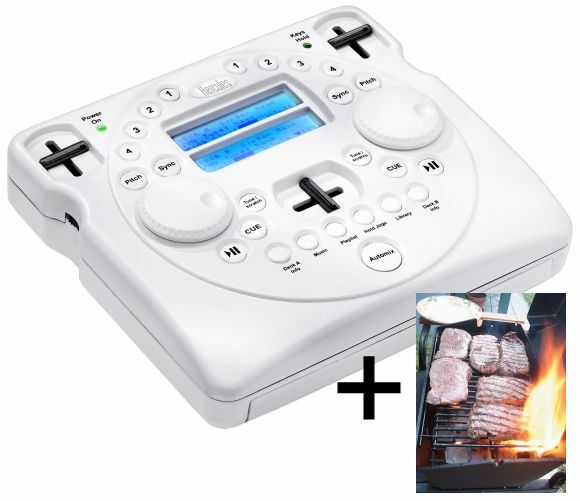 Hercules Wireless DJ Controller, So You Can DJ and … Barbeque? Perfect for barbeques, says Hercules. This (sadly, wireless DJ-free) barbeque via Flickr, by Adactico. Yes, just in time for the summer grilling season. Hercules — known in the 80s for their video cards and more recently as makers of a rather flimsy DJ controller — have introduced a toy-like wireless DJ controller. As a serious “controller,” it’s not much good; it’s only slightly evolved from remote control. As a toy, though, it’s quite cute and I imagine someone would have some fun with it. Augh! 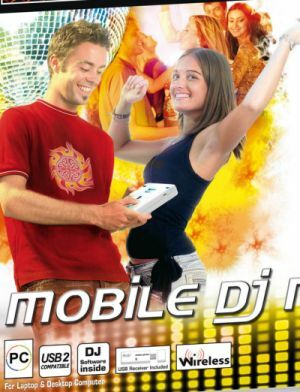 My hands were slippery with barbeque sauce and I dropped my wireless DJ controller! It’s on fire! Mmmm … burning plastic. Not sure about North America, but in the UK it’s Â£59.00 Inc Vat. Help! My boyfriend won’t stop twiddling the knobs on his wireless Hercules DJ toy. Look at me, look at me!